11 oz. 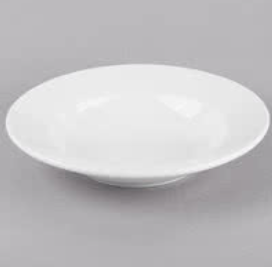 bright white porcelain RD soup bowl. Combining a classic, round shape with an elegant, rolled edge, this versatile bowl is perfect for any establishment, from casual to upscale. Plus, its bright white color creates optimal contrast, guaranteeing your colorful foods seemingly pop off the table for an eye-catching appearance.